I never knew how great it would be to have a kid in NYC until, well, I had a kid in NYC. Indoor playspaces, museums, art studios, playgrounds, music classes, kids bookstores and more are within a 10 minute walk from our apartment. What’s more, at least a dozen moms I met through Audrey live within a few block radius of us. All with kids the same age, we’ve bonded over everything from sleep schedules to potty training. And when our schedules permit, we get together at night, eat good food and wine, and have adult conversation…without the kiddos climbing all over us. 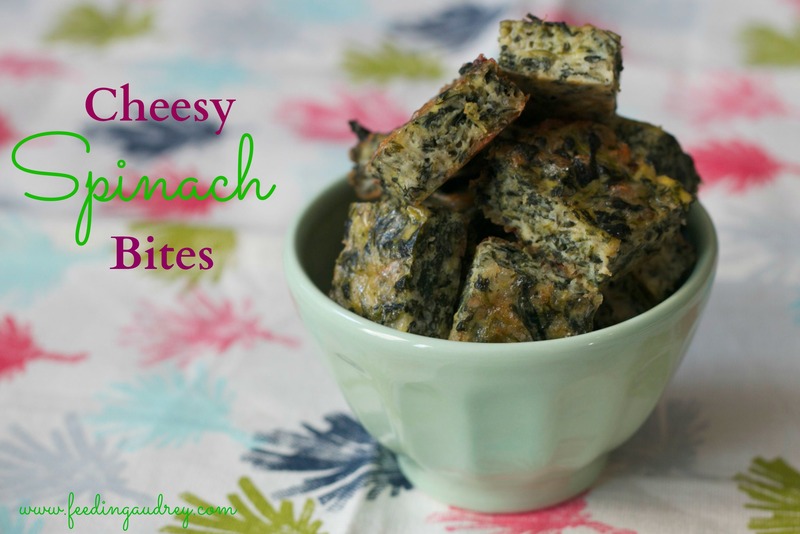 At a recent gathering these cheesy spinach bites were brought to us by Liz, mother to 20 month-old Brooke. They were a huge hit. When Liz told us how easy they were to make and that Brooke loved them, I knew I’d be making them for Audrey the next day. As suspected, Audrey loved them as well (as did my husband who ate almost half the batch). They are the perfect side dish, main dish, breakfast, or snack. A cinch to make, healthy, delicious, quick, and freezer-friendly, these little bites have become a new household favorite of ours. And I’ve since found out that Liz’s mother made them for her when she was growing up – so it’s pretty fair to say these are a tried and true recipe that have been a hit with kids for many, many years. Enjoy, and thank you Liz for the recipe! Preheat oven to 350. Lightly grease an 8x8 baking dish or pan with oil, cooking spray, or butter. Squeeze the defrosted spinach dry with a dish or paper towel. You want it as dry as possible. 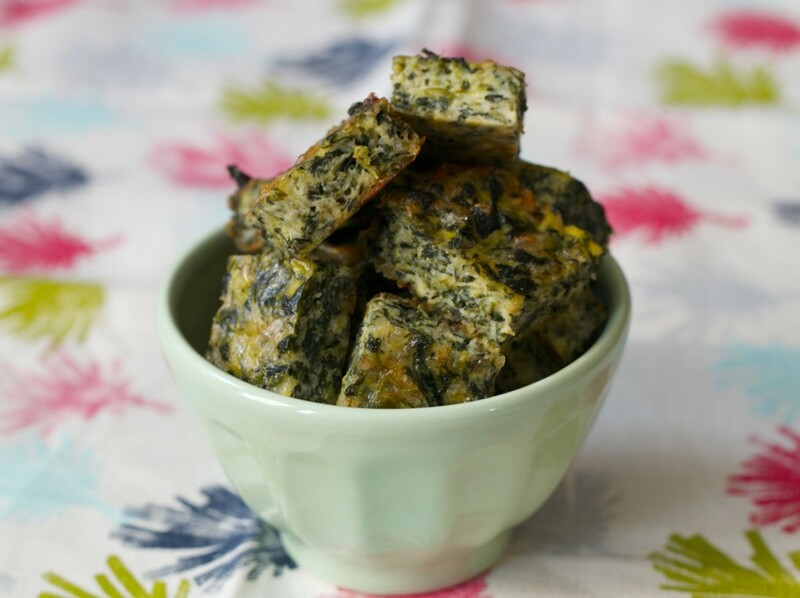 Place dried spinach into a medium bowl and add remaining ingredients; mix well. Place the mixture into prepared pan and lightly pat down until evenly distributed. Top with an additional sprinkle of cheese if you'd like. Bake for 30 minutes or until puffed up. Once cool, remove from the pan and cut into bite-size squares. 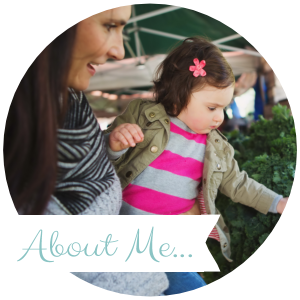 * If you have a healthy and fun recipe you love to give your kids, shoot me a message at danielle @ redkitchenette.com and I will be sure to try it out! Hi this is a great recipe! Going to try it with my 12 month old son think he will love them. My only question is can you freeze them? I would like to make them in advance and freeze them so he can have them at the childminders. LOVE your site! Can’t wait to make these for my babies. Thank you so much!! Hope your little one likes them! Can you substitute the cheese out? Yes, but you may want to add more veggies or something else for flavor. Depending on taste preferences, perhaps chopped sautéed mushrooms, tomatoes, or a lean protein like turkey bacon. Love this recipe. Just made it for my picky 20-month-old son, and he gobbled almost half the pan down in one sitting. Will be making this again! Thanks for sharing. How much fresh spinach would I use if I’m subbing fresh for frozen…need to use up a bag before it goes bad! Hi Nicole – You would need at least 1 lb, up to 1 1/2 lbs. Just make sure if using fresh you blanch or steam the spinach first, then squeeze out any excess water and lastly, chop it well. Hope you like it! Thank you for sharing! I’m excited to try these! How long will leftovers last for? Any suggestions to replace eggs?? Sounds like a great recipe. I think your best best would be a pureed silken tofu. Let me know how it works out!